Ruth Dona Simpson, age 82, of Woodsfield, Ohio passed away Thursday August 21, 2014 at the Ohio Valley Medical Center Wheeling, West Virginia. She was born in Monroe County Ohio a daughter of the late William Thurman and Jessie May Turner Ackerman. She was a retired Medical Transcriptionist for Barnesville Hospital. 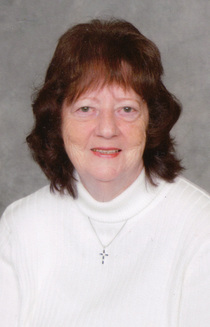 Ruth was a member of St. Paul’s United Church of Christ, and was active with the St. Paul’s Caring Ministry, member of the VFW woman’s auxiliary, Monroe County Communicators Short Wave Radio Club, and Ruth loved and cared for her cats. Preceded in death by her first husband James Farmer, second husband Robert Simpson, brothers William Ackerman, and Harold Ackerman, and sister Eloise Smith. She is survived by her two sons Robert (Laura) Farmer of Morton, Illinois, and Gary (Brenda) Farmer of Lansing, Michigan, two daughters Deborah (Ronald) Rothacher of Sardis, Ohio and Rhonda (William) Taylor of Lansing, Kansas, sister Helen Jane Strickling of Woodsfield, close friend Joyce Farmer of Lansing, Michigan, 12 grandchildren, 10 great grandchildren, and several nieces and nephews. Visitation will be held from 6:00 – 8:00 p.m. Saturday August 23, at the Bauer-Turner Funeral Home, 100 S. Paul St., Woodsfield, Ohio. Funeral Services will be conducted at 2:00 p.m. Sunday August 24, 2014 with Keith Jones officiating. Burial will follow at Oaklawn Cemetery Woodsfield. Condolences may be expressed online at bauerturner.com.